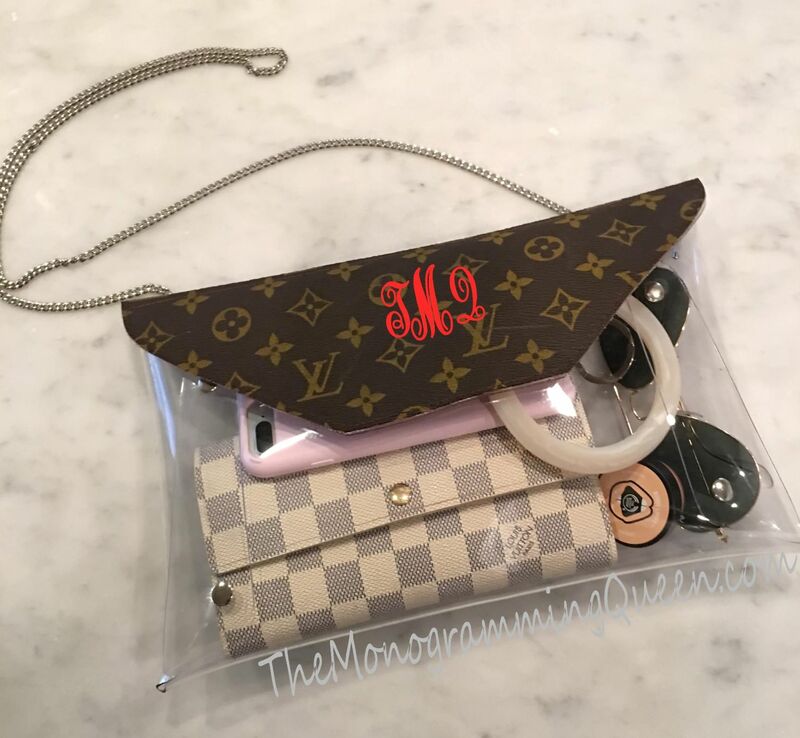 This is a recycled Louis Vuitton Clear Stadium clutch. We use only authentic Louis Vuitton canvas. The Clutch measures 12" x 7.5" it is an envelope design with a snap closure. Chain drop silver or gold hardware and has a 19" drop. 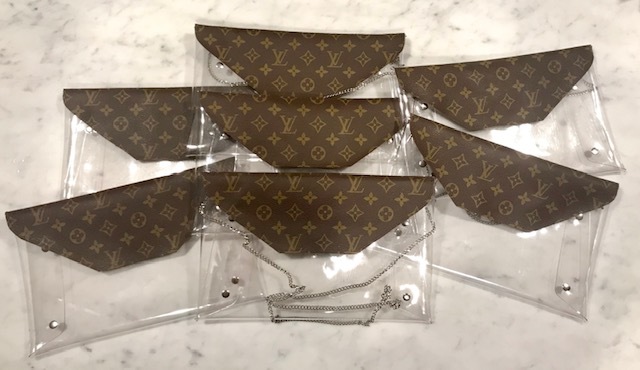 from an Authentic used Louis Vuitton item and may have flaws.